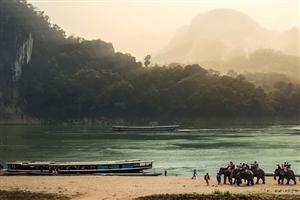 Experience everything that Laos and Cambodia have to offer on an enthralling trip spread across 17 days. 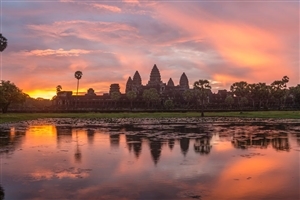 Cruise along the Mekong River, explore the cities of Vientiane and Phnom Peng, marvel at the stunning Temples of Angkor and uncover Cambodia’s dark history on an unforgettable voyage of discovery. Arrive in Chiang Rai where you will enjoy a private transfer to your hotel, with the remainder of the day being spent at leisure. Rise early for breakfast before checking out to head for the Laos border, where you will be assisted with the immigration process. You’ll then board a boat to start a two day cruise down the Mekong River, stopping off to visit a local village and to experience local life as you journey to Pakbeng. On arrival, you’ll check into your overnight accommodation and be able to relax and watch the sun going down over the river from your balcony. Early risers can pay a visit to the morning market if they wish before returning to the hotel ready to check out to rejoin the cruise. As you continue towards Luang Prabang, there will be a stop at Ban Baw village to look into the processes involved in producing traditional rice alcohol before lunch is served onboard. You’ll also visit the famous Pak Ou Caves to marvel at the thousands of Buddha statues to be found within before the ship docks in Luang Prabang and you are transferred to your hotel. The serene ceremony of monks collecting the alms can be enjoyed by those who want to get out of bed early before returning to the hotel for breakfast ahead of a day exploring the city. 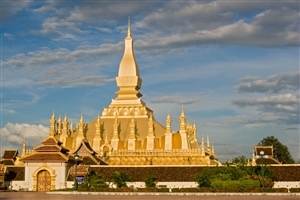 A guided tour starts with the chance to explore the history of Laos at the National Museum before a visit to two of the most famous temples in the city; Wat Mai and Wat Xieng Thong. You’ll then head for the Traditional Arts & Ethnology Centre to learn more about the diversity of Laos’ ethnic minorities. There’s then the chance to join the locals for a game of petanque before a special cookery class at the popular Tamarind Cooking School. Expert chefs will be on hand to guide you in creating a selection of authentic Lao dishes, with your creations then being served for dinner. Head out of Luang Prabang and travel through the countryside to Kuang Si – passing through landscapes of rice fields, rolling hills and quaint villages along the way. Stopping off en-route to meet with locals to discuss their traditional way of life, you’ll then reach the picturesque falls, where you can take a dip in one of the various plunge pools or explore the surrounding forest. The more adventurous can even climb the steep track to the top of the falls to take in impressive views of the surrounding region, whilst animal lovers might appreciate a visit to the nearby bear sanctuary where Free the Bears Fund care for Asiatic black bears saved from poachers. You’ll then return to Luang Prabang for more time at leisure. After breakfast in the hotel, you’ll have some free time in the morning before heading for the airport for the flight to Vientiane. 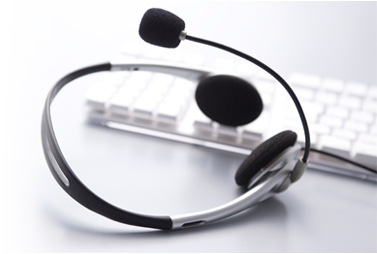 Following the transfer to your hotel, you’ll have the rest of the day at leisure to do as you wish. Today will be spend exploring Vientiane; a city regarded as one of the quietest capital cities to be found anywhere in the world. Starting out at the serene Wat Sisaket, the only temple left standing after the Siamese invasion of the 1820s, you’ll then have chance to explore Lao and Khmer art at Wat Phra Keo – which is now a popular religious museum. You’ll walk past the Presidential Palace en-route to Laos’ version of the Arc de Triomphe – the Patuxay monument – before a trip to the holiest site in the country, That Luang. After a visit to a group that works to aid those injured by landmines, a busy day will conclude with a traditional Baci ceremony in a local home. After breakfast, you’ll once again head for the airport to board a flight to Phnom Penh; a city often regarded as one of the most beautiful in the Orient but which also has a somewhat turbulent recent history. After checking in to your hotel, you’ll enjoy an afternoon tour around the Cambodian capital on the back of a cyclo; taking in the French quarter and Wat Phnom. The evening is then spent at leisure back at your hotel. Today is set aside for further exploration of Phnom Penh, starting off with a visit to the Royal Palace, Dating back to the 1860s, the palace is home to the Silver Pagoda, which gets its name from the heavy silver tiles that cover the floor. You’ll also be able to marvel at an impressive collection of Buddhas before continuing onwards to the National Museum; home to one of the foremost collection of ancient Khmer artistic, archaeological, and religious artifacts to be found anywhere in the world. Having uncovered the ways in which the Child Safe Centre works to take care of children in the city, you’ll call in at the Central Market before a break back at your hotel. In the afternoon, you’ll embark on a difficult journey that provides an insight into the recent dark history of Cambodia and its people, starting out at the Tuol Sleng Genocide Museum. After time exploring the former detention and torture centre, you’ll head for the Killing Fields of Choeung Ek, with an audio headset guide relaying harrowing but informative stories from survivors and liberators of the camp. Leaving Phnom Penh behind, you’ll take a trip to the rarely visited pre-Angkorian site of Sambor Prei Kuk, where well over 100 well preserved temples are to be found scattered across the jungle. Take a walk through the trees and explore the site before visiting one of the local villages to observe the production of a range of different crafts. The community will prepare a tasty lunch near the temple for you to enjoy before continuing onwards to the overnight halt in Kampong Thom. Following breakfast at your hotel, you’ll hit the road for Siem Reap and the famous Temples of Angkor. Along the way, you’ll stop off at the impressive Spean Praptos bridge and take a cruise out onto the Tonle Sap Lake; the largest freshwater lake to be found in South East Asia. As part of your cruise across a lake that can swell to four times its normal size during the wet season, you’ll visit the village of Kampong Kleang to see the stilted houses of local fisherman and to enjoy a packed lunch prepared by your hotel. After your cruise, you’ll continue to Siem Reap to check into your hotel with the rest of the day at leisure. 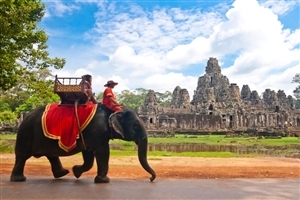 Head out from your hotel in a remork – similar to the Thai tuk tuk – to explore the Temples of Angkor, starting out with the most famous of them all; Angkor Wat. A symbol of the Khmer people, the temple was built in the 12th century and is famous for its intricate carvings and bas reliefs, as well as the 2,000 Apsara dancers that decorate the walls. Next up is the ancient city of Angkor Thom, where you’ll enter the city walls through the south gate before heading for the Bayon Temple in the heart of the city. Having explored the 12th century masterpiece, with its 54 towers to represent the 54 provinces of the Great Khmer Empire, you can also visit the Terrace of the Elephants and Terrace of the Leper King before a break back at your hotel. In the afternoon, you’ll enjoy a visit to the temple of Ta Prohm, which sits largely as it was found – overgrown by jungle trees and vines and with some parts falling into disrepair. One of the most picturesque temples there is, you’ll be able to see first-hand why it has been dubbed as the ‘Tomb Raider’ temple before returning to your hotel for an evening at leisure. Following breakfast, you’ll travel out into the countryside to visit Beng Mealea; an overgrown temple that has lain undiscovered for centuries and has only recently been made accessible to visitors. Having had the opportunity to climb through the remains, you’ll head for a local house to enjoy a packed lunch and then head onwards to Banteay Srei. Regarded as the best preserved temple in Cambodia, Banteay Srei is famed for its remarkable bas-reliefs and also from its unique construction – being the only temple in the Angkor region to be built from pink sandstone. You’ll also visit Banteay Samre before heading back to Siem Reap. Leaving Siem Reap behind, you’ll travel to the city of Battambang – a destination that was off limits to travellers for many years having been a stronghold of the Khmer Rouge. Having checked in to your hotel, you’ll pay a visit to the 11th century temple of Ek Phnom, take a trio to Psar Nath market and have the opportunity to enjoy the heritage and history of the city streets as you walk along the riverside. Today you’ll spend time exploring Battambang and the surrounding region, starting out with a visit to Phnom Sampeau; one of the few hills to be found in the area. From the top, you can take in impressive views of the paddy fields and sugar palms trees that litter the landscapes but the serene views are in stark contrast to the notorious killing caves – where the bodies of those killed by the Khmer Rouge were dumped. After a mid-day break, the afternoon will start with a stroll through local villages to the temple of Wat Banan before a sort stop at Prasat Phnom Banon Winery to taste one of the few wines produced on Cambodian soil. A ride on the unique Bamboo Train – a bamboo platform on wheels used by the locals to transport goods and people – brings the day to a close before you return to your hotel for the night. Leaving Battambang, you’ll return to Siem Reap – stopping off en-route to visit the Angkor Silk Farm. Here, you can witness the process that goes into producing silk from beginning to end, before continuing onwards to your hotel. The remainder of the day can then be spent at leisure. Head for the airport and your departure flight.